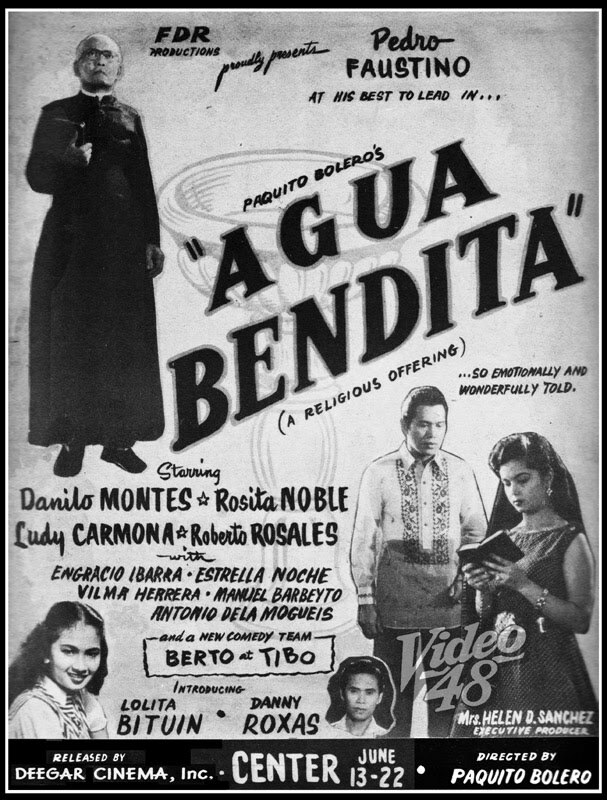 Not to be confused with the top rating ABS-CBN TV soap, did you know that there was a movie made titled Agua Bendita? It was released and shown in 1953. 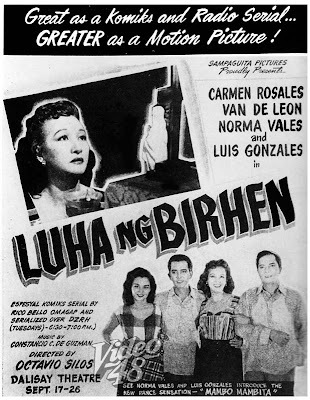 Surprisingly, veteran character actor Pedro Faustino was in the lead role, his name above the title. 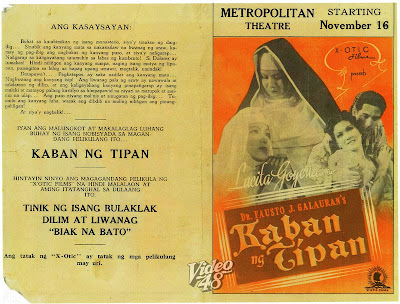 Faustino was a familiar figure in many photoplays playing nominal characters as a priest, peasant or farmer, father or grandfather of lead stars. Hermano Pule (1815-1841) was born Apolinario de la Cruz in barrio Pandác, Lucbán, Tayabas (now Quezon), but is better known as Hermano Pule. He led the first major revolt in the Philippines, based on a struggle for religious freedom. As an infant, Apolinario wanted to become a priest. At the age of 24 in 1839, he attempted to enter a monastic order in Manila. He was refused because he was an 'indio' (native, indigent). Frustrated, he worked in the San Juan de Dios Hospital. During his spare time, he studied the Bible and religious material and actively listened to church sermons, thus developing his knowledge in theology. In June 1840, he founded the Cofradia de San José (Confraternity of St. Joseph) which excluded caucasians. The brotherhood fostered the practice of Christian virtues. When Spanish religious authorities heard about the organization, they immediately condemned the brotherhood as heresy. The brotherhood's number grew despite its persecution. Spanish authorities, including Governor-General Marcelino Oraa and Archbishop Jose Segui, regarded the Cofradia as a heresy and banned it. However, the more persecuted the Cofradia was the greater it grew in numbers. 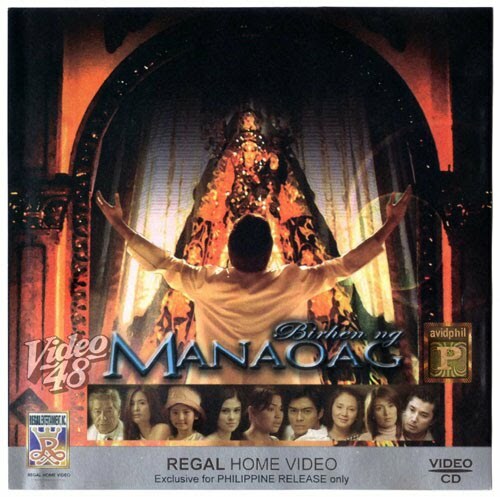 Lorenzo Ruiz is the first Filipino saint. He is also the first Filipino martyred for the Christian Faith. Lorenzo Ruiz was a layman, married, and had two sons and a daughter. 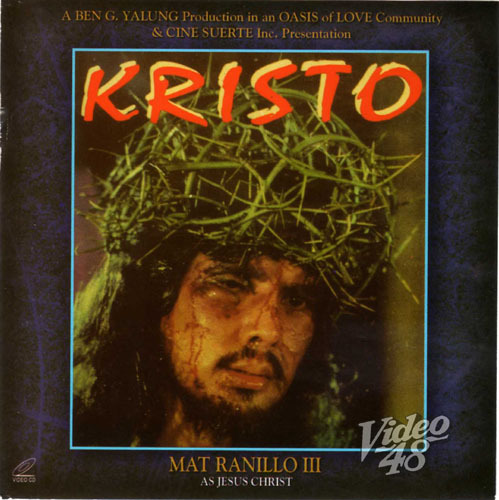 Born in Binondo, Manila, about 1600's, he was educated in the school of the Dominicans there. 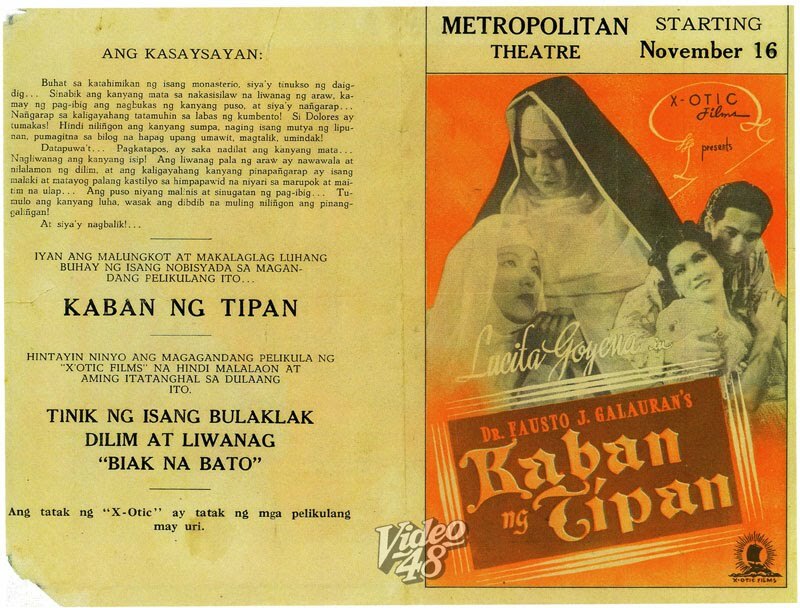 He served as an altar boy and later was a helper and clerk-sacristan in the church of Binondo. He was a member of the Confraternity of the Rosary. He made his living probably as a calligrapher, one who renders documents in beautiful penmanship for private or official use. To be sure, that work denoted an accomplished and educated person, especially at a time when many an illustrious personage was far from excelling in this art. 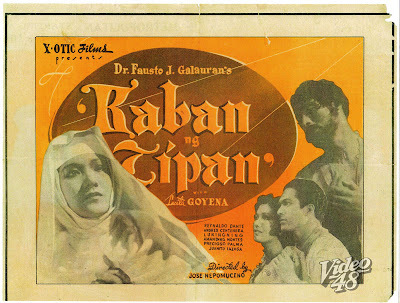 An adverse event made him leave the Philippines in 1636. When he was in his late twenties or early thirties, he became involved or was accused of being involved in a criminal case, the circumstances of which are far from clear. Whether he was involved or not, one thing was clear, he was afraid that, as a consequence of a trial or mistrial, he might be given a death sentence. Upon landing in Japan where Christians were being persecuted, he was arrested and imprisoned together with his companions. He underwent inhuman tortures and valiantly confessed his Christian Faith. Refusing to renounce his Faith, he told his executioner that he was ready to die for God and give himself for many thousands of lives if he had them. On September 27, 1637, he was hung from a gallows by his feet, his body falling into a pit. After two days of agony, he died of bleeding and suffocation. His body was cremated and the ashes thrown into the sea. He and fifteen companions, martyred in the same persecution, were beatified by Pope John Paul II in Manila on February 18, 1981 and elevated to full honors of the altar by canonization on October 18, 1987 in Rome. Their feast day is on September 28th. 1996 po yata ang year of release ng "Kristo." May kopya po ba kayo sa palabas na Agua Bendita? 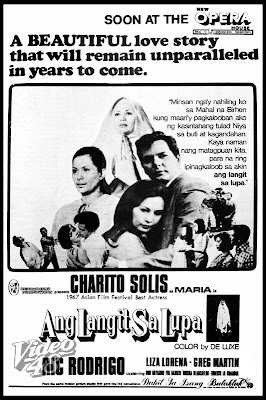 Interesado po kasi ang lola ko makita yung palabas na yun. 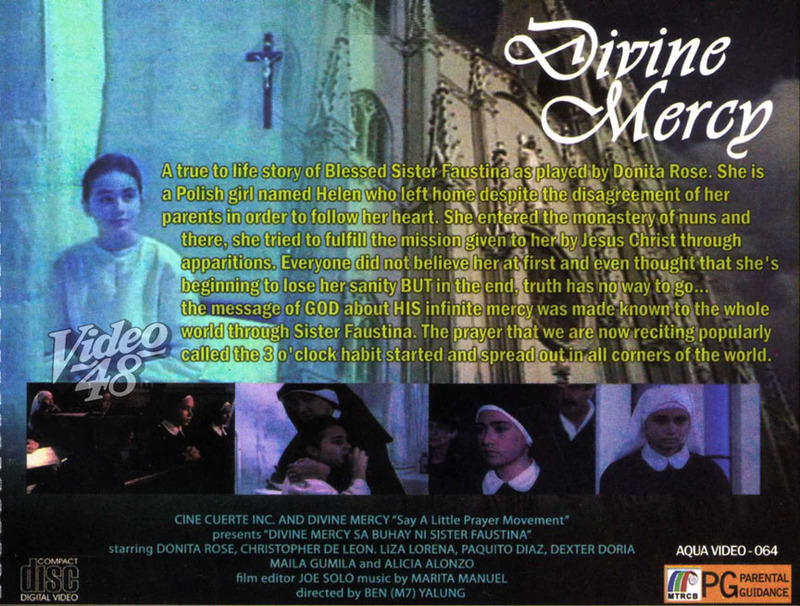 Pedro Faustino was part of many Ramon Revilla Sr. movies. 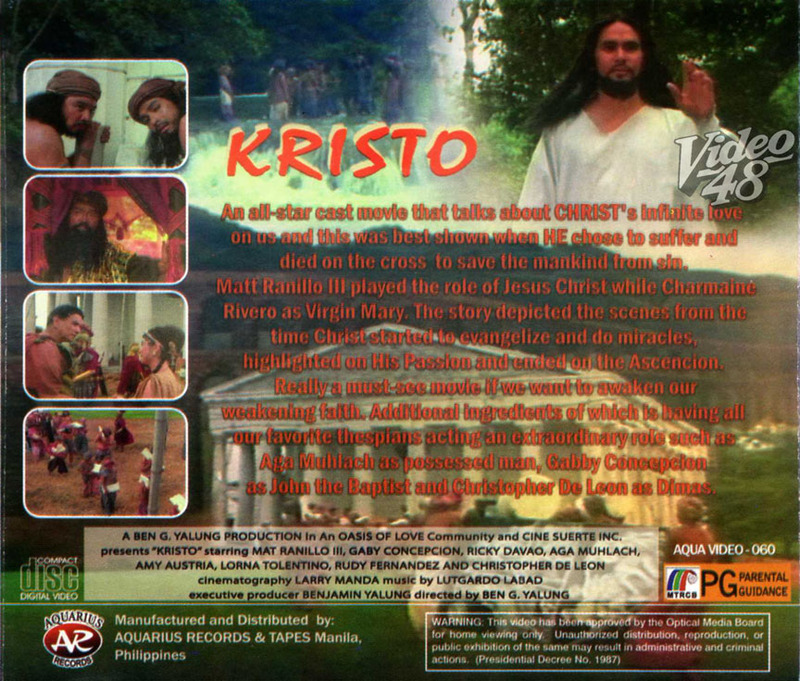 He was typically cast as the old man who gives Ramon's character the "anting-anting."